2018 GR 20' Gooseneck Stock Trailer. Copper with a White Tarp Roof. 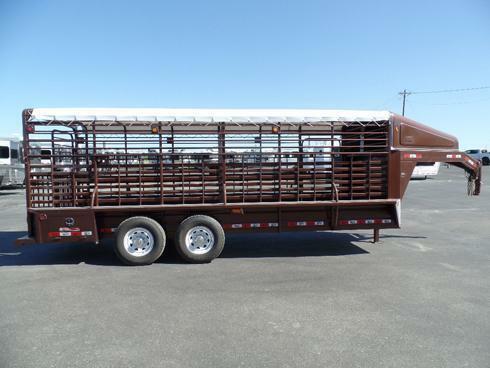 2 7K Torsion Electric Brake Axles, 1 Cut Gate at 10', Treated Wood Floor, Tubing Sides, Butterfly Tail Gate, and Tool Boxes. 6'8" Wide, 6'6" Tall.